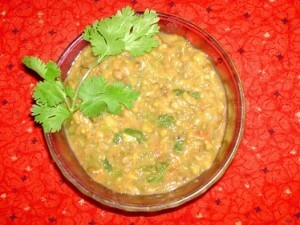 Coming to today’s recipe with little spicy & tangy green gram/ cherupayar curry with some North Indian touch. 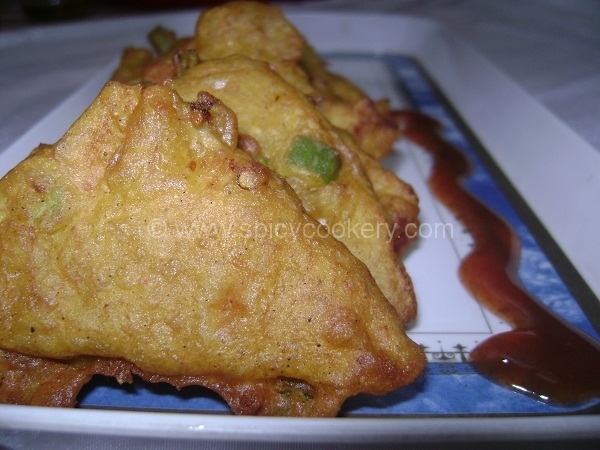 This recipe is an easy making & healthy curry which goes very well with chapathi. Cook cherupayar in pressure cooker nicely. Heat oil in a kadai. Add jeera seeds & allow it to splutter. Add green chilies & chopped onion with little salt & sauté well. When the onion starts turning transparent, add ginger garlic paste & sauté. Then add chili powder, turmeric powder, coriander powder, garam masala powder & salt. Sauté for 1 min & add chopped tomatoes & sauté till the oil separates. Now add the cooked cherupayar & mix well. Add little water to make the curry little loose. When the curry starts to boil, add coriander leaves. Cherupayar curry in north Indian style is ready to serve with chapathis.